I was tipped off that this was a live test by Google but unfortunately it was not, it is just a demo URL that Google has provided to the media. Sorry for the confusion. Google is expected to release the AMP (accelerated mobile pages) related news results by the end of this month but some are seeing them show up in their mobile search results now. 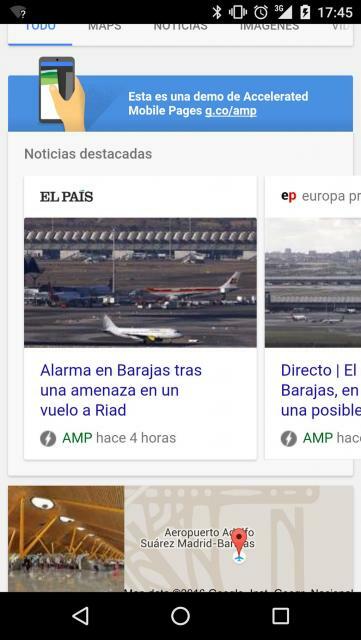 As you know, the AMP pages will first start showing in the Google News carousel on mobile for news publishers that got their sites ready for AMP by deploying AMP related pages. See that slick looking bolt of lightening label in the news carousel that reads "AMP"? That means the page is super fast using the AMP protocols. Have you seen this in the wild because I cannot replicate it myself? For more on AMP see our Google AMP category.